Second-year head coach David Olson was asked to step down from his position this week after the Vista Murrieta High School football team's first losing season since 2005. Vista Murrieta was just 4-7 this season, losing five of its first six games. The Broncos posted a 3-2 league record to make the CIF playoffs but lost in the first round to Mater Dei for the second straight season, 49-7. 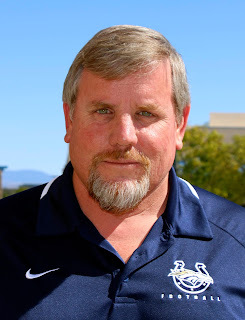 "I respect David’s passion for the game and I am grateful for his efforts and commitment to his players and the program," said Vista Murrieta principal Mick Wager. "However, at this point, we believe it is in the best interest of the program to seek a change in leadership for the football program." District Assistant Superintendent of Human Recourses Darren Daniel said, "We expect to see a highly competitive pool of candidates for this exciting opportunity." Under Coley Candaele, who is now the school's athletic director, Vista Murrieta was 132-25, including a CIF championship in 2011 and finishing as runner-up in 2009, 2010, 2012, 2013, 2014 and 2015.